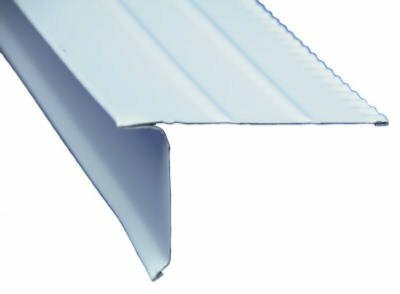 Drip edge is the flashing that protects the edges of your roof, both the eaves and the gable ends. It is required by the 2012 International Building Codes (IBS) for shingle roofs, and you should make sure that it's properly installed with any new roof you get. Optional for years, drip edge is now required by the International Building Codes. This is great because it protects the wood structure underneath your roofing shingles, an area of the roof you can't see … but one that's prone to water damage and wood rot. The concept of flashing is easy, but remembering the different names used for flashing was a huge challenge when I started my handyman business. It's why Home Tips focuses on the concepts you need to understand your home. Another benefit of having drip edge added to the building codes, are the standards defined. If it doesn't look right to you, ask your roofer to explain how it's installed. It comes in 10 foot lengths, and several colors (see what Lowe's sells) to match your roof's shingles. One of my handyman technicians made a roofer re-install the drip edge once, because they used small, leftover pieces leaving too many seams vulnerable to leaks. Adjacent pieces must be overlapped a minimum of 2 inches (51 mm). The metal must extend a minimum of 0.25 inch (6.4 mm) beyond the roof sheathing and extend up the roof deck a minimum of 2 inches (51 mm). Each piece of drip edge must be fastened to the roof deck at a maximum of 12 inches (305 mm) apart. On the eaves, the roof underlayment goes over the drip edge. On the gables, it goes over the underlayment. The building codes state that roofing shingles can be flush with the outer edge of your drip edge flashing, unless the shingle manufacturer specifies something different. Understand that there are many different types of flashing on a roof, and each has different installation rules to make your home watertight. Here is a vacation home getting new siding plus new flashing to prevent water from getting into the house. Notice how invisible the flashing is once the siding has been installed. There are several types of flashing related to how a roof protects your home from water damage. Here they are so you understand that you might need more flashing than simply drip edge. Don't be surprised because most of this flashing is installed in ways that make it invisible to you. Found along the lower edge of your roofing, flashing known as drip edge covers the gap between shingles or other roofing materials, and the roof deck (plywood or OSB) on which the roof is installed. This prevents water from getting into your attic where wood damage could occur. Where one long piece of flashing that protects the seam between a vertical wall and a sloped roof. That's what you see in the larger photos above, before and after the new siding is installed. Note how little flashing is visible, working hidden behind the scenes. Step flashing is used to seal seams where roofing butts up to a vertical structure like a dormer or chimney. You can see in this photo how water running down the siding of the dormer will flow away from the vertical wall to the shingles, and continue downward. To learn more about step flashing, including common mistakes involving flashing, read Vaught Roofing's article, How to Install Step Flashing. This flashing is used where the bottom edge of the roof meets an adjoining, vertical wall. The shape of this flashing varies a lot, from the curved metal shown here to metal that a 90 degree angle, and some have multiple segments to round the corner. The varied shapes to some degree, reflect the siding of the house – wood siding, vinyl, brick, stucco or stone. There are two types of valley – open and closed. Open valleys leave the valley uncovered by the roofing material. Valley flashing is then installed over ice and water shield, so the flashing can more easily carry the water off the roof (learn more about open and closed valleys here). Drip edge is installed on your roof, under the shingles, and should be installed with your roof. It's one way to evaluate the quality of roofing estimates – does it list drip edge along with other materials like ice and water shield? The product is purchased by roofers at building supply companies where they buy roofing shingles. 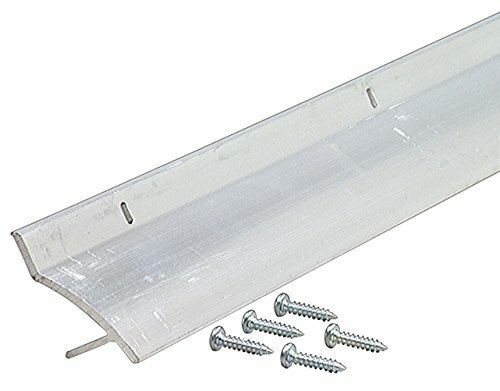 They purchase drip edge in quantities of 500 ft versus the single 10 ft piece found on Amazon (not recommended due to possible damage in shipping). Drip cap is similar, sitting on top of doors and windows. The 36 inch length was the first clue in my Amazon search. A drip cap directs water away from house the same way drip edge does. Often made from wood, drip caps can rot which is why you might need to buy a replacement like the aluminum drip cap below. Rain diverters sit on the roof. They direct water away from one part of the house, typically away from exterior doors so noone gets wet when entering or leaving your house. Rain diverters are a cheaper solution than installing gutters. Read The Family Handyman's directions for installing a rain diverter. Note: While I'm familiar with all of these products from my eight years running a handyman business, I didn't recognize the brands selling these products online. So here's how I vetted these brands to confirm their products are credible because I have run into problems with products manufactured in China that I won't recommend. Amerax is part of Euramax, a family of companies manufacturing many different types of home products from aluminum, steel, vinyl, copper and fiberglass. Their commitment to solving rainwater problems is demonstrated on their website. M-D Building Products has been in existance since 1920. One of their focus product areas is weatherization for the home, including the drip cap shown above, other sheet metal products for the house and weatherstripping. Looking for more information about roofs or gutters? And if your roof gets lots of snow, check out Why Ice Dams Happen & How to Prevent Them and Solutions to Prevent Ice Dams. PS Remembering when updating this article that roofs are really, really complicated, here are some great roofing resources I found that you might want to check out. What are the Different Types of Roof Flashing – does a nice job of list the different materials used for flashing which I haven't addressed here. Metal Trim and Flashings – has a nice explanation of how to match different flashing styles to the type of siding you have. What are the Right Words for Talking About a Roof? is a great resource found recently not only roofing, but lots of home related topics. Similar but slightly different, you may want to learn about Cap Flashing Metal and how it's made (fabricated) to help keep our homes watertight.